The Ice-O-Matic IFI8C inline water filter is a cartridge made to be used without a filter manifold or assembly. This filter has a 3⁄4-inch compression and can handle up to 100 PSI. 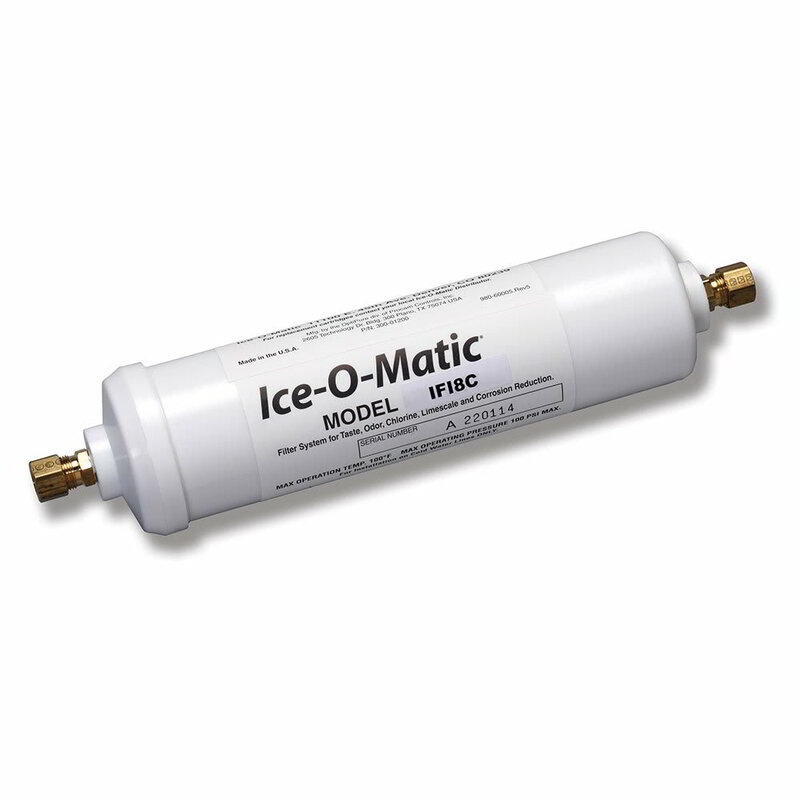 The max flow rate of a 1⁄2 GPM makes this cartridge ideal for ice makers that produce up to 600 pounds of ice each day. This ice machine filter is designed for simple installation thanks to its quick-connect fittings. Overall Dimensions: 113⁄4 in. L x 23⁄4 in. dia. "The product was used for a ice maker."